Are you looking for a superlative letterbox with a great design? Fasttel offers designer letterboxes that will really stand out in your doorway. 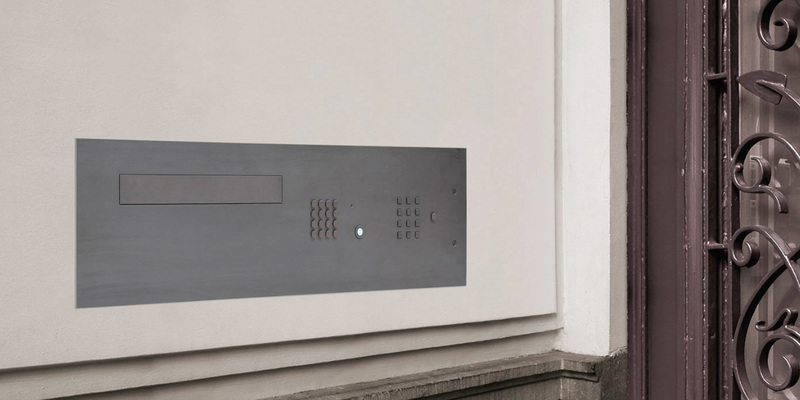 Your designer letterbox can also be expanded to include a sleek, integrated intercom or video-phone with code keypad and/or fingerprint reader. All in one stunning (portrait or landscape) unit. 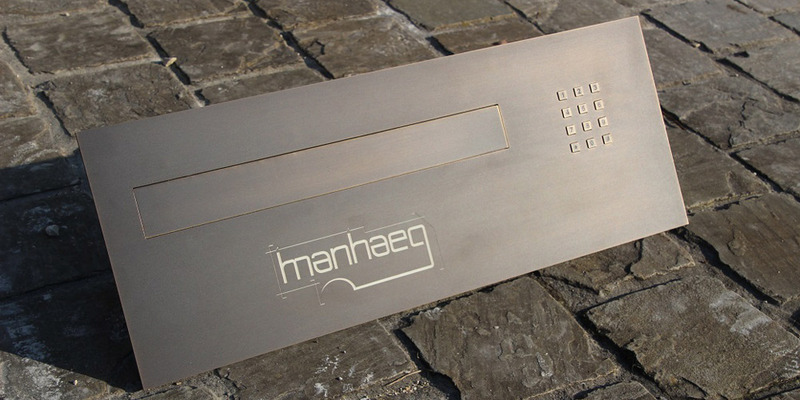 Our bronze designer letterbox creates genuine added value for your entrance. Your home telephones are used as answer points. As well as your smartphones and tablets. Would you like to provide important information or another message on the panel? You can also choose to have your house number, a motto or names engraved and also coloured, if you wish. Take a look at our customised bronze name frames. The Fasttel systems are wireless and flexible and easy to install as a result. 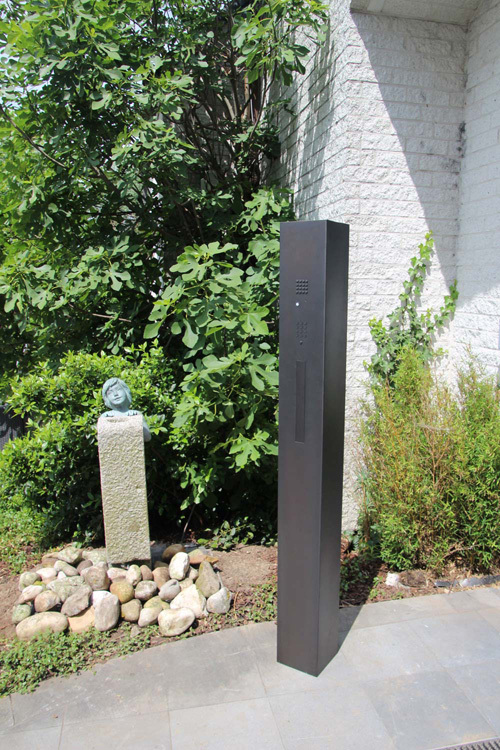 Would you like a designer letterbox with extra options, such as a speaker, microphone and possibly a video camera for extra security at your business premises, home or site? It is far less work and effort than you may expect. 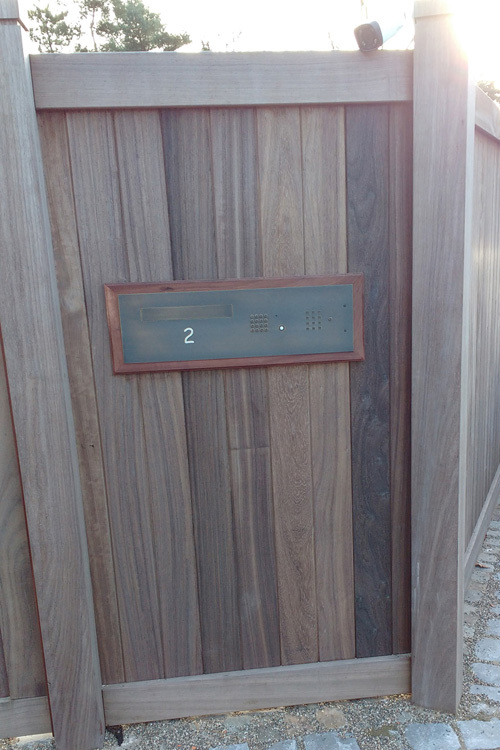 Fasttel designer letterboxes in copper, or aluminium (with or without toughened glass). The copper version can be coloured bronze, honey or dark bronze and adds a rustic touch to your home. 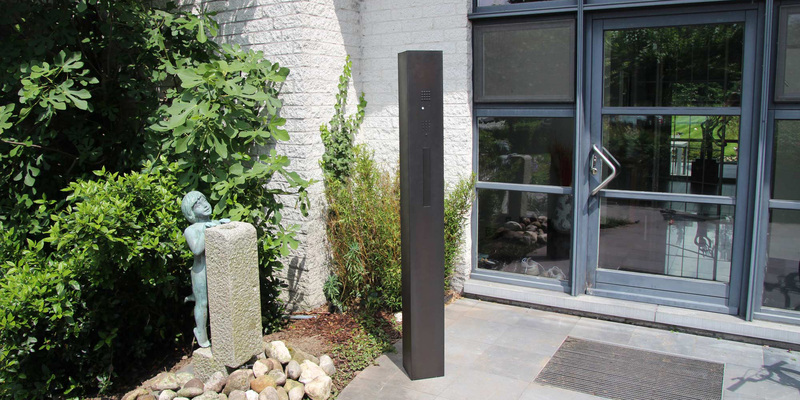 The aluminium version is a modern letterbox and comes in black or grey. 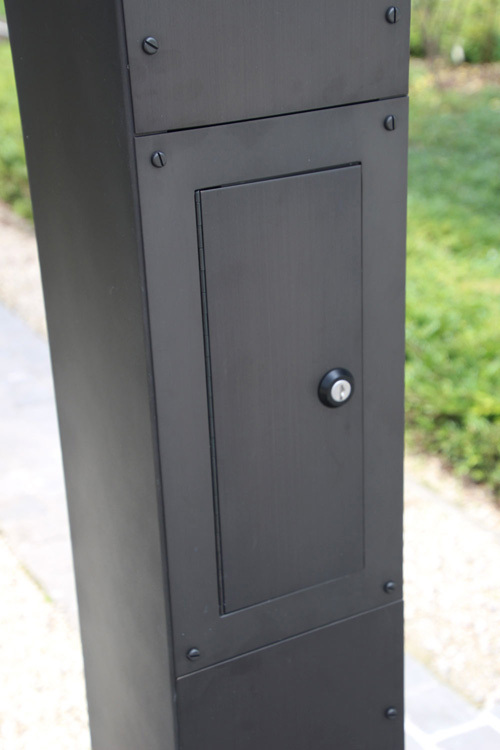 The products and devices that Fasttel suppliers for outdoors are made in super-durable materials, so that your designer letterbox and also your intercom system or code keypad lasts longer. The screws for installation and push-buttons are made of copper, you can opt to have the camera fitted in a hidden location, and your microphone and/or speakers are not susceptible to weather, soil or wind. A camera can be installed in clear view or in a hidden location so that visitors do not feel as if they are being viewed but unwanted visitors are less tempted to vandalise property. Detail backside with integrated door phone. 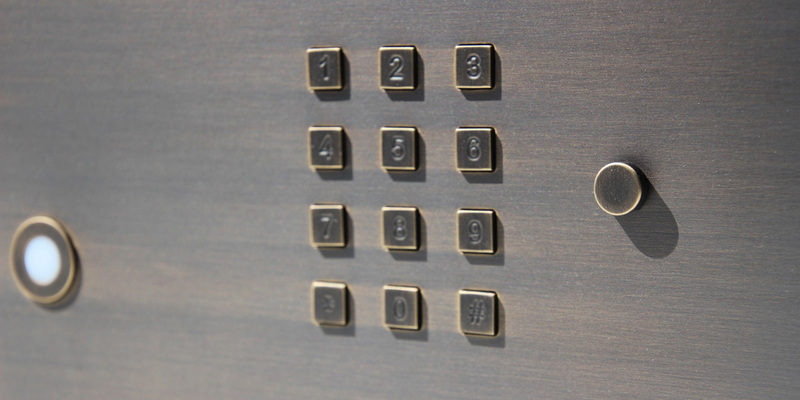 Choose the number of buttons, numbers or color of the display to select your device.